The Sierra Nevada red fox (SNRF; Vulpes vulpes necator) historically occurred throughout the Pacific Crest Ranges of California and Oregon. During the 20th Century, SNRF populations in California declined precipitously. At present, only two known populations occur in California with total numbers estimated to be <50 individuals; there is currently little information on the status and distribution of SNRF in Oregon (McFadden-Hiller and Hiller 2015, Hiller et al. 2015), and no data available on their resource selection or space use. 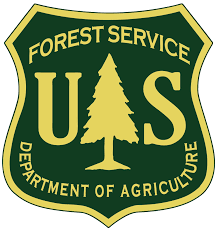 The SNRF is listed as a USDA Forest Service Sensitive species in the Intermountain (R4) and Pacific Southwest (R5) regions and was recently listed as a Strategy Species in the Oregon Conservation Strategy by the Oregon Department of Fish and Wildlife. In October 2015, the U.S. Fish and Wildlife Service (USFWS) determined that the Southern Cascades (OR and northern CA) and Sierra Nevada (CA) distinct population segments were valid designations, and that federal listing of the latter was warranted but precluded by higher priority actions, resulting in candidate species status. A proposed rule to list the Sierra Nevada DPS will include a determination on critical habitat. Scattered detections from remote cameras in Oregon over the past several years have documented the presence of red foxes at high elevations as far north as Mount Hood and as far south as Diamond Lake in the Umpqua National Forest and Crater Lake National Park. However, the known occurrence of nonnative subspecies of red foxes in other parts of Oregon emphasizes the need to assess the genetic composition of these populations. A small set of samples from a limited number of sites in the Oregon Cascades carry an indigenous matrilineal marker, suggesting these individuals were likely to be indigenous SNRF (Hiller et al. 2015). 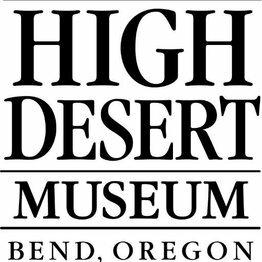 However, greater sampling effort throughout the historical range in Oregon is needed to confirm this, and broader characterization of the genome is needed to assess the possibility of hybridization with nonnative subspecies. Genetic data also are necessary to characterize the connectivity among potentially isolated populations, their genetic effective population sizes, and their genetic distinctiveness with respect to the California SNRF. Our study area includes high-elevation areas of Deschutes, Willamette, Mount Hood, and Umpqua National Forests, and Crater Lake National Park. Click here to read about our project on The Wildlife Society's Wild Cam Series. Sierra Nevada red fox at baited hair snare designed to collect non-invasive genetic samples. Click here to learn more about distribution and connectivity of Sierra Nevada red fox in the Oregon Cascades! The current level of information on habitat for the SNRF in the Sierra Nevada Distinct Population Segment (CA) is extremely limited and is non-existent for the Southern Cascades DPS (OR and northern CA). Habitat information for this subspecies is insufficient yet critical for making informed conservation and management decisions in both California and Oregon. The goal of this study is to provide information on resource selection, space use, and denning ecology of SNRF in the Southern Cascades DPS in Oregon by capturing and GPS-collaring 4–8 individuals per year during 2016–2018. Our study area includes high-elevation areas of the Deschutes National Forest, to include areas containing recent detections from camera surveys. We are working to expand this project through additional funding. Check out this NEWS RELEASE about the first Sierra Nevada red fox that we captured and GPS-collared during May 2017! Remember to view this video using FULL SCREEN!